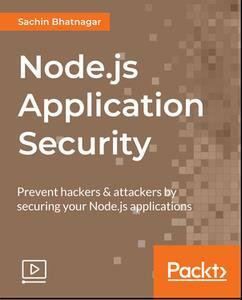 As a Node.js developer, you're entrusted to secure and safeguard your production apps against vulnerabilities and attacks that have the potential to bring down a business and cause irreparable damage. Businesses built in the cloud-native era should always strive to stay one step ahead of attackers who're always on the lookout to inflict damage. It is time to get hands-on and make your application more secure! 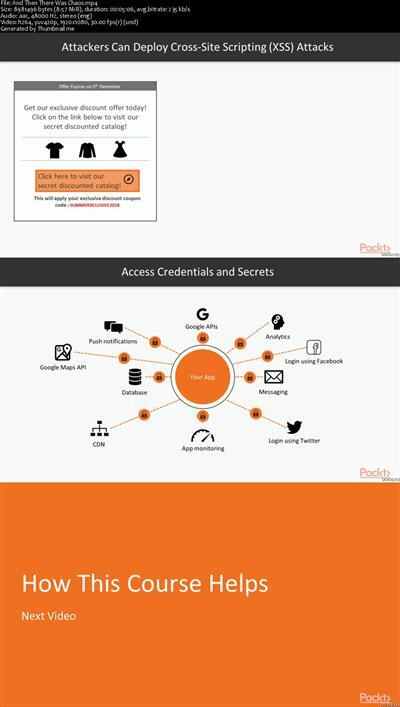 This course will empower you to strengthen & safeguard your application against a host of attacks and vulnerabilities. You will learn about passwords and the best practices to store them safely in a Node.js application. You will then see how untrusted data can wreak havoc in production, and how to prevent injection attacks on your database. We will then examine cross site scripting attacks (XSS) and cross site request forgery attacks and the ways you can protect your app against them. You will then get hands-on with transport security by implementing SSL/TLS on an Amazon EC2 server instance. Lastly, we will tackle Distributed Denial of Service (DDOS) attacks and learn to identify vulnerable NPM packages in your application. Every video in this course approaches a real-world problem, explains the reasons behind it, and guides you through solutions that you can implement easily. By the end of this course, you'll be on your way to building a more secure Node.JS application that can easily safeguard your business and customers.